The tomb of Amenhotep Huy, ruler of Lower Nubia Kush under king Tutankhamun, is to be opened to the public for the first time following extensive restorations. The tomb is famous for its spectacular wall paintings. Amenhotep, called Huy, was a viceroy of Nubia. The Lower Nubian Kush was a province of Egypt from the 16th century BC to eleventh century BC. During this period it was ruled by a viceroy who reported directly to the Egyptian Pharaoh. The viceroy was appointed directly by the Egyptian king and usually bore the titles "overseer of the southern lands" and "king's son of Kush". It is believed that the Egyptian 25th dynasty were descendants of these viceroys and so were the dynasties that ruled independent Kush until the fourth century AD. Huy was the son of a lady named Werner. His father is not known. Huy was married to Taemwadjsy, chief of the harem of Amun and of the Harem of Nebkheperure (Tutankhamun). They had a son named Paser. Huy succeeded the viceroy Tuthmosis, who served under the pharaoh Akhenaten. Huy ruled under Tutankhamun, and would have been responsible for organizing construction on Tutankhamun’s behalf, as well as being responsible for military operations in the region of Nubia. The viceroy would bring tribute personally to the pharaoh they served under. The tomb of Amenhotep Huy, which is located at Qurnet Marei on Luxor's west bank, consists of a court and a burial chamber, and is well known for the colorful and detailed paintings that adorn the walls of the tomb. 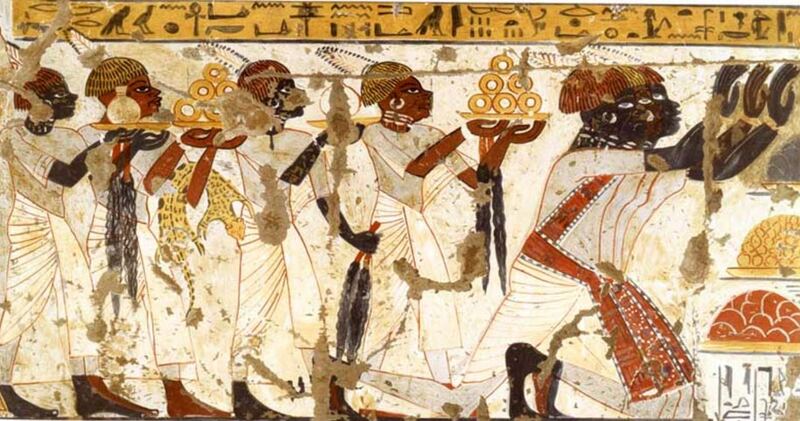 “Although it is a small tomb it has very distinguished wall paintings,” Aly El-Asfar, head of the central administration of Upper Egypt, told Ahram Online . The tomb of Huy has undergone three years of restoration work and will be opened to the public in mide-December.